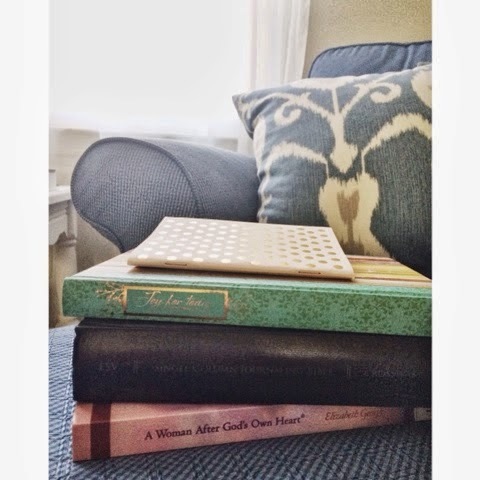 The Christian Wife Life: I Finished the Bible! After two years of what was supposed to be a one year reading plan, I finally finished reading the Bible. It was eye opening. Convicting. Encouraging. Life-giving. Exhilarating. Arduous at times, I'm not gonna lie. I especially struggled with Ezekiel for some reason. But EVERY book in it is amazing, especially how it all flows together and points to Jesus. At times I would feel so humbled and grateful not only to be reading it, but to know how many copies and different versions I have of the Bible not even just in my home, but on my phone as well. I have the WORD of GOD at my fingertips constantly! It's mind boggling, really. Here's one of my favorite spots in our house -- our reading nook in the office. This is a chair and ottoman that my parents got when we moved to their current house in 2002 I think. They recently updated their living room furniture and we were grateful to receive the comfy, blue chair! I've already spent so much time there, especially in the early morning light. It honestly helped with my Bible reading routine, knowing exactly when, where, and how I would be reading it. 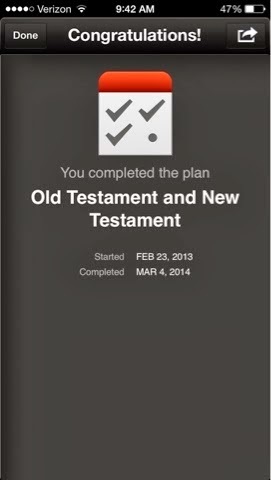 Another thing that helped tremendously was the app that I used: the YouVersion Bible app. There are many different plans to choose from with shorter or longer time goals, and also choices of what you actually want to read each day as you go through it. I chose to do the Old Testament and New Testament at the same time every day, so I had a few OT chapters and usually one NT chapter daily. I really liked it that way for my first time. The Lord has taught me SO much through this time of reading His Word. After I finished, I had a twinge of sadness not unlike when I finish a compelling fiction series. But I quickly realized that I have no reason to feel that way, because God's Word is living and active and will teach me even more the next time I read it! And the next. And the next. You get the idea! How about you? Have you read through the Bible? And what way worked for you? First time commenter here! I have read all the way through the Bible several times, and each time I get more and more out of it! Last August, I decided to read through chronologically and try to read it in one year (a first). I'm halfway through, and I'm actually still on schedule! It has been SO good to read it through in order and to read more at once. Things make more sense, and I feel like I'm gotten even more out of it. You should definitely try it! I just googled a year-long chronological plan and printed it off so I can physically check off each day. Isn't it great to read God's Word?! I love your blog, I wish you would post more often though! 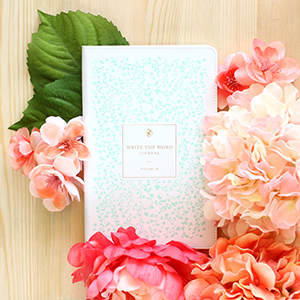 Recommendations such as reading the Bible are so helpful as a newlywed! It’s very embracing but I didn’t read it still in my almost 27 years! I always procrastinate and find an excuse not to do it. However, your story is so inspiring, especially with this cool app you offered to use. I will definitely try to read with help of this app. In addition, I would like to ask you about your favorite pieces of Bible. Your favorite quotes with commentary should be good too. Also you can read about our family business by the link here -reviews on BuyEssayOnline.org. It’s amazing right?